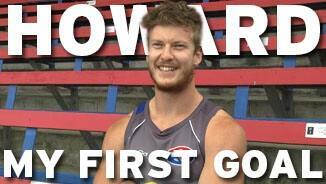 Howard has quietly gone about his business, maturing as a player, and a best on ground performance against Coburg last weekend is testament to that. Medical Services Manager Andrew McKenzie provides a rehab group update. 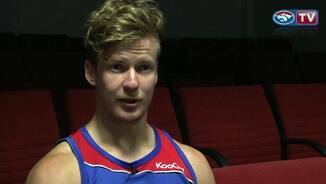 Bulldogs Medical Services Manager Andrew McKenzie looks at the progress of the rehab group prior to Christmas. Splitting his time between the wing and halfback line, Howard has been diligently working on his craft in recent seasons. Splitting his time between the senior side and VFL, the South Australian recruit is an accurate kick with good endurance. Howard came to the Bulldogs through the 2009 AFL National Draft with the Club’s first round selection (pick number 15 overall). 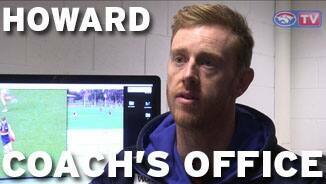 Marred by injury niggles and some indifferent form, Howard’s 2013 season was difficult to assess. Playing just one senior game in 2013 was not the return Howard was hoping for, but the running defender did produce some good moments in the VFL, particularly in the finals series. There was a noticeable improvement in Howard’s defensive actions in 2013, where in eight games this season, he laid five or more tackles — albeit in the VFL. In his one opportunity at senior level, Howard had 16 pressure acts (13 implied) which demonstrates a focus on getting better in this area of his game. "He (Howard) was troubled by some hip complaints towards the latter part of the season… he's had a successful operation on that and will get back in time to get a really good pre-season in." 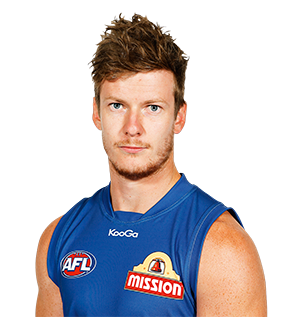 After a solid pre-season, the left-footer injured his knee in round one and missed the majority of the first half of the season but came back well to post three 20 plus possession games. Howard’s best game came against the Cats in round 22, where he collected 28 possessions and kicked a career high two goals. The 2009 first-round draft pick made his AFL debut in round 10 against Hawthorn and averaged 13 disposals in his six games, including a career-best 18 disposals against Essendon in round 21. A raking left-footer, he doesn’t seem overawed on the big stage and looks to have untapped talent. Signed a contract extension in November and will benefit with extra bulk on his 186cm frame.